Want to learn more about our fantastic range of quality, RACQ approved Used Cars? Need to enquire about our range of Car Services available at our Kedron dealership? Then don’t hesitate to contact our friendly team using the information listed below. Alternatively, visit our Kedron dealership today. 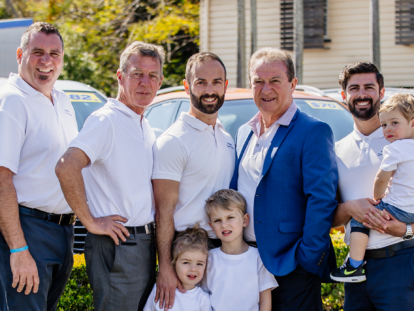 Our expert team at Kedron Car Centre have been providing specialist quality used cars to the Brisbane community and throughout Australia for over 20 years. At Kedron Car Centre, we have a range of services to support you through your car buying journey including bank beating finance via a number of Australia’s best lenders. Want to learn more about our fantastic range of quality, RACQ approved Used Cars? Need to enquire about our range of Car Services available at our Kedron dealership? At Kedron Car Centre we have been selling cars in Brisbane’s northern suburbs for over 20 years. We are now Brisbane’s number one specialist supplier of quality used cars. We are a one-stop-shop offering high quality RACQ Inspected vehicles, on-site finance and extended warranties for absolute peace of mind and to save you time and hassle.